Obituary – Wilda, Billy Joe « Perry High School Alumni Association, Inc.
F.F.A. 47-48, D. E. 50-51. Billy Joe Wilda, 84, of Perry, OK, passed away on August 5, 2018. Bill was born in Three Sands, OK, on November 3, 1933. 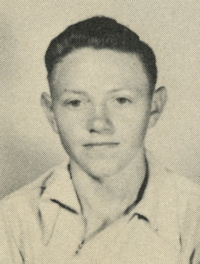 He was a 1951 graduate of Perry High School. He then joined the United States military and was a part of the 82nd Airborne Division. Bill married Alice Marie (Lumbers) on July 11, 1966. They were married for 52 years. Bill was a welder for many years, working in the oil field and then at RL Frailey’s for over 30 years. He went on to work for the OK Department of Transportation for close to 10 years and then retired. Before his retirement and well after, he enjoyed raising cattle and living in the country. He also had great times playing poker with his buddies and loved playing checkers with his grandkids (even if he cheated). Bill is survived by his wife, Alice, and his four children; RoxAnne Cantrell, Pam McDonald and her husband, John, Mike Wilda and his wife, Stacey, Billy Wilda and his wife, Jaimee. Bill has 7 grandchildren; Jason Cantrell, Allison Harris and her husband, Darrin, Sarah McDonald, Bryce McDonald, Kayley Wilda, Lyndey Wilda and Cole Rickard. He has 5 great grandchildren; Conner Harris, Callie Harris, Noah McDonald, Harmony McDonald and Tyler Cantrell. He will be missed by his many nieces and nephews and family and friends, including King, his four-legged best buddy. Bill is preceded in death by his parents, Joe and Sally (Grim) Wilda; his sisters, Mary Ellen Chartier and Helen Bristol, and his brother, Jim Wilda. There will be a time of reflection with the family at Trout Funeral Home’s family room from 2:00-3:00 pm on Friday, August 10, 2018. In lieu of flowers, memorial donations may be given to St. Jude’s Children Hospital in care of Trout Funeral Home of Perry, 1408 N. 7th St. Perry, OK 73077. 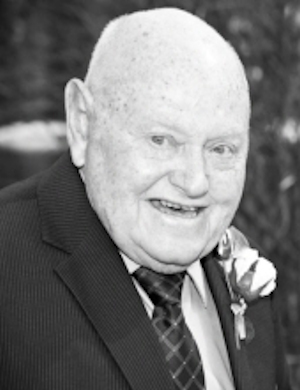 The family of Bill Wilda wishes to thank everyone for their support.